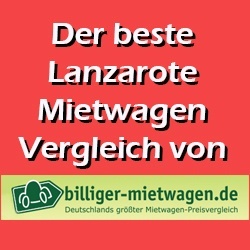 For many years now the restaurant La Cañada in the centre of Puerto del Carmen defends its reputation to be one of the best restaurants on the island. The family run restaurant stands for quality and continuity and their success proves that they are right. Since 1995 the Cabrera family’s restaurant is listed continuously in the Michelin guide and on the island the restaurant is popular for its good food and as a venue for celebrations. The philosophy of the owners is to treat all clients like family, providing a very personal service, using high quality products encouraging many return visits. The kitchen of La Cañada offers typical and traditional Spanish dishes and some of them are prepared on a big barbecue right in front of the guests. Classic dishes such as Sama with thyme, fish in salt or different meat dishes are always on the menu and very popular. With more then 20 years gastronomic experience La Cañada knows where to get the best ingredients and quality is always guaranteed. “Nobody will give you something for free these days and quality has its price. We prefer to pay that price and therefore our clients are more than satisfied with the products we offer” tells Rubén, the son of the owner. As well as wines from the island, which are recommended to tourists, La Cañada also offers very good wine from mainland Spain that compliment the menu. The ambience and décor encourages you to linger, enjoying the atmosphere. 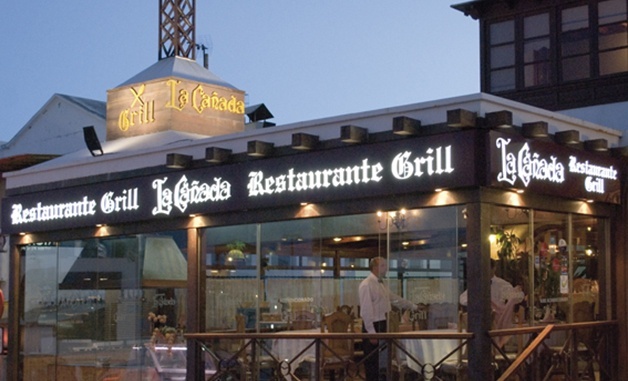 With its situation right next to the Centro Atlántico, the restaurant La Cañada is also a perfect starting point for exploring the nightlife of the biggest tourist area of the island. Many residents enjoy dinner here before an evening out.